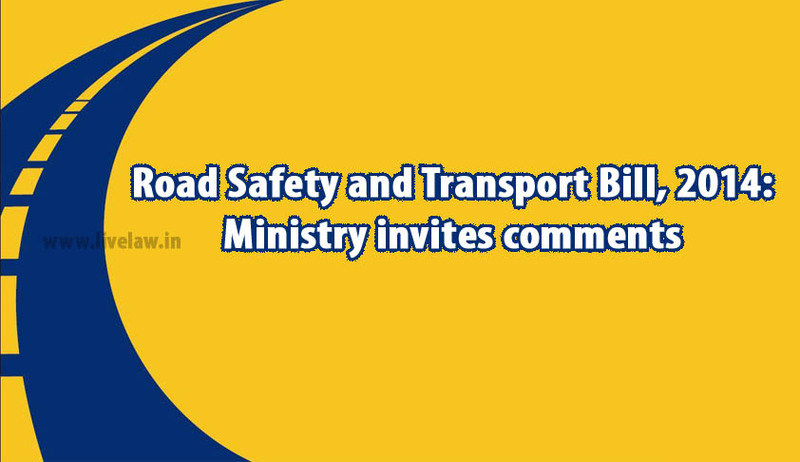 The Government has proposed a new Road Safety and Transport Bill, 2014, making the penalties more stringent, with an obvious aim to curb traffic violations. It has proposed steep penalties of up to Rs. 3 lakh, along with a minimum seven-year imprisonment for death of a child in certain circumstances, besides huge fines for driving violations. Its vision is to “provide a framework for safer, faster, cost effective and inclusive movement of passengers and freight in the country”. It aims to save 2 lakh lives in the first 5 years due to reduction in road traffic accident deaths, through strict implementation of the laws. Additionally, it envisages a 4% GDP improvement on account of increased efficiency and safety of road transport sector. Also 10 lakh jobs are envisioned to be created with an increase in investment in the sector. It proposes a graded point system for imposing fines. It provides for simplified permits and single portal clearances, along with an increase in logistics efficiency which will reduce inflation and enable Indian manufacturing to become globally competitive. This would be coupled with promotion of eco-friendly public transportation, for improving road safety, cost-effectiveness and transport efficiency. It would facilitate a two-tier permit system, at the national and intrastate level. An increase in private sector participation in fitness testing is also provided for, in order to create more jobs. It reportedly proposes a fine of Rs. 5 lakh per vehicle, as well as imprisonment, for faulty manufacturing design, besides cancellation of licences for rash and negligent driving. In case of using vehicle in unsafe conditions, a penalty of Rs. 1 lakh or imprisonment for six months, which may which may extend to one year or both, is proposed. Another highlight of the Bill is that causing death of a child in certain circumstances will result in “Rs. 3 lakh fine, and imprisonment for a term not less than 7 years” while violating traffic signal three times will result in Rs. 15,000 fine, licence cancellation for a month and a compulsory refresher training. First offence for drunk driving will attract Rs. 25,000 fine, or imprisonment for a term not exceeding three months, or both, and a six-month licence suspension. Second offence within three years will result in Rs. 50,000 penalty or imprisonment for up to one year or both and a one-year licence suspension. “Any subsequent offence shall result in the cancellation of the licence, and impounding of the vehicle that may extend for 30 days,” it said. If school bus drivers are caught driving drunk, Rs. 50,000 fine will be imposed with imprisonment for three years, while ‘immediate cancellation’ of licence will take place in case of drivers in the age-group of 18 to 25 years involved in such incidences. Comments have been sought from public and stakeholders, after which the Ministry will finalize it for presentation to the Parliament during its winter session.